South Elementary fifth grader Tully O’Keeffe will be featured on WCVB’s “5 for Good” for her “Bikes for Girls in Vietnam” birthday fundraiser. Tully was featured last month in Warrior Wednesdays. Tune in to channel 5 on Thursday, March 21, 2019 at 7 p.m.
Five outstanding Andover High School students were honored by Prudential Financial last week for their service to the community! The Spirit of Community award honors middle and high school students for outstanding volunteer service. AHS’s Hannah Finn was presented with a bronze medal for starting the “One Wish Project.” In 2016, Hannah began baking birthday cakes for children at the Lazarus House in Lawrence, believing that every child deserves a birthday. In two years, Hannah has created partnerships with two additional shelters in Lawrence, and has baked cakes and provided presents for over 70 children. In addition to Hannah’s honor, Prudential recognized four high school students for the President’s Volunteer Service Award. This award recognizes students who have dedicated more than fifty hours to improving their communities through service in 2018. This year’s AHS recipients are Chiara Holton, Brianna Preston, Alice Yu and Bipasha Ray (Alice and Bipasha not pictured). Chiara is a student leader of the Students Together Are Resilient (S.T.A.R.) program, a group focused on decreasing the stigma from mental health treatment and encouraging positivity. The group organizes, plans and promotes activities and opportunities for students to demystify mental health concerns ranging from coping with stress to suicide. 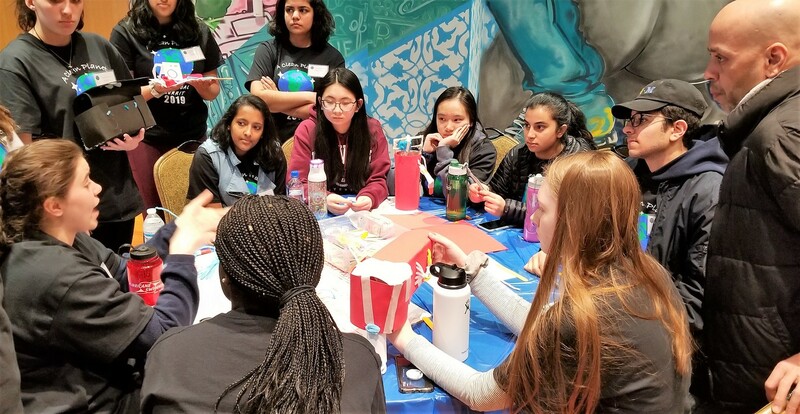 This club has over 100 members and brings students together in a safe space and helps them understand and address a variety of mental health concerns in the teenage community. Brianna dedicates her time to her church, specifically its children. She has developed engaging, interactive methods to bring religious education to the church’s youngest. She also plays bass guitar for the church band and posts the weekly sermon on the church’s website to allow those who missed the Sunday service an opportunity to listen to the sermon. Alice runs the Boston chapter of the World Computer Exchange, a group that repairs and rebuilds old computers to reduce waste and provide technology to young people in developing countries. She manages a few dozen students in her club at AHS. 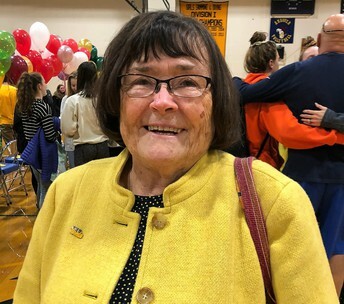 Alice also coaches the West Middle School math team and volunteers at the Andover Emergency Shelter and Senior Center. Bipasha is involved in a variety of different organizations including DECA, the science team, global engagement, and the sophomore board. Her work with the Healthy Heart Initiative raises awareness of rheumatic heart disease and other cardiovascular diseases. This organization is developing early-detection tools to mitigate the effect of these serious conditions in underprivileged communities across the globe. We are so proud of all these young women; congratulations on your awards and keep up the good work! West Elementary educators Jamie Kaplan, Danielle Hart, Michelle (Shelley) Thorner and Dave Gaffny are a very humble group. As a team, they support 16 West El Capstone fifth grade students pursuing their “passion projects.” Under their leadership, CAPs students are offered the chance to create an independent academic experience outside of the classroom, with the focus on authentic learning. The team meets with students independently and as a group to offer feedback on their projects. Students interested in creating a Capstone project are required to fill out an application and be interviewed by Jamie, Danielle, Shelley and Dave. Initiative and grit are important to the group, and they look forward to guiding the students through the process over the school year. Jamie, Danielle, Shelley and Dave are inspired by the students’ ideas and take great pride seeing their final projects. Final projects are presented at the end of the school year, and the fifth graders can share their projects at the Senior Showcase in May. The team is a natural fit to lead the CAPs project at West El; they are enthusiastic about student-learning and inspired by the students’ creativity. At the School Committee meeting on March 7th, I presented a mid-year progress report on the accomplishments of the district. Although the goals outlined in the report are goals for the superintendent, achieving these goals is a collective effort and reflects the work of our dedicated administrative team and the work of many other teachers and staff members. I wanted to offer you a brief glimpse into the many gains that have been made this year. The full mid-year report is available for review here. We continue to facilitate progress of our “sprint” teams to move our agile strategic plan forward. These sprints include: Literacy, AHS Personalization and Transition, Mental and Behavioral Health, Social- Emotional Learning, Accessibility, Progress Monitoring and Innovation. As each of these sprints moves forward, I will be providing their individual updates in upcoming Warrior Wednesdays. We have strengthened our social-emotional learning program at the elementary level through many teachers using Responsive Classroom strategies to build a strong sense of caring community in their classrooms. We have also extended the Where Everyone Belongs (WEB) program to all middle schools and strengthened the H-block advisory program at the high school. Our Mental and Behavioral Health Sprint has enhanced support for students and their families challenged by these issues. The AHS Personalization and Transition Sprint has continued to work on refinements to the high school schedule and better support of students’ transitions from 8th to 9th grade. The Accessibility Sprint has provided additional teacher and student support in using TextHelp and other universal design for learning strategies that assist students in more easily accessing the curriculum. With early screening and progress monitoring through DIBELS, MAP and Lexia in place, the Progress Monitoring Sprint has helped teachers, particularly at the elementary and middle school levels, be better able to use data to address individual student needs. The Innovation Sprint has continued to expand students’ ability to access rich learning experiences through independent capstone projects, the high school’s Innovation Lab, the Global Scholar Endorsement, and design thinking instructional strategies. This year, our Literacy Sprint has continued an ambitious, multi-pronged approach to literacy intervention to address language-based learning difficulties and dyslexia. Areas we have targeted for further development include assessment, professional development, program development, key interventions, strategic partnerships, and community outreach. We have also moved aggressively forward on implementation of our new literacy program with the purchase of materials, classroom libraries and the necessary professional development to enable teachers to effectively utilize a readers’ workshop model. One of the most significant needs of the district is the upgrading and renovation/replacement of our aging school facilities. We have made this a leading priority and accomplished a great deal this year. We built a security vestibule at AHS and improved security throughout the district. This past summer we completed the air conditioning project of High Plain and Wood Hill, which made the school environments much more conducive to learning as we opened school this year. We were accepted into the feasibility phase of the West Elementary building project and, in our meetings with the Massachusetts School Building Authority (MSBA), received authorization for an enrollment of 925 students that will ensure we appropriately size the building. Although the high school wasn’t accepted this year by MSBA, we continue to make progress on assessing options for a renovation or replacement. We will submit another application to MSBA in April. We even were able to complete an initial analysis of what could be done to improve the Doherty facility, which will be presented to the School Committee on March 15. In August 2018, we were able to add a communications position to enhance communication initiatives within the APS community and with the media. This is the 25th edition of Warrior Wednesdays, which is distributed to over 8,400 readers, and focuses on students, teachers and great works within the APS community. There is much work to be accomplished in the coming months and years to grow our communications efforts. However, the past few months have been witness to a very productive start. In the area of financial management, we have closely monitored and managed our budget, ensuring that we maintain a balanced budget. The FY20 budget targets two major goals—adding time to the school day to enhance academic instruction and completing the transition of textbooks from the capital improvement plan to our budget to give us a strong base upon which to renew curriculum each year. We have also managed our full-day kindergarten account in a way that will enable the district to reduce the annual tuition for full-day kindergarten by $200 without expending additional general expense resources. Given our budget agreement with the Town Manager, we may be able to further reduce it by another $200 on the way to free full-day kindergarten. The School Start Time Working Group began work this year to explore later school start times at the secondary level. The goal of the working group is to develop potential options for later start times for middle and high school students and to gather feedback from parents, teachers, students and other key stakeholders to provide various options to the School Committee for their consideration. More information on this initiative can be found here. It is an honor to work with such dedicated faculty and staff, and I appreciate the significant progress we have made this year. The fourth annual Global Summit was held on March 8, 2019, and centered on the theme “cleaner earth.” The day began with break-out sessions where students engaged in art, technology and global conversations through the Portal. 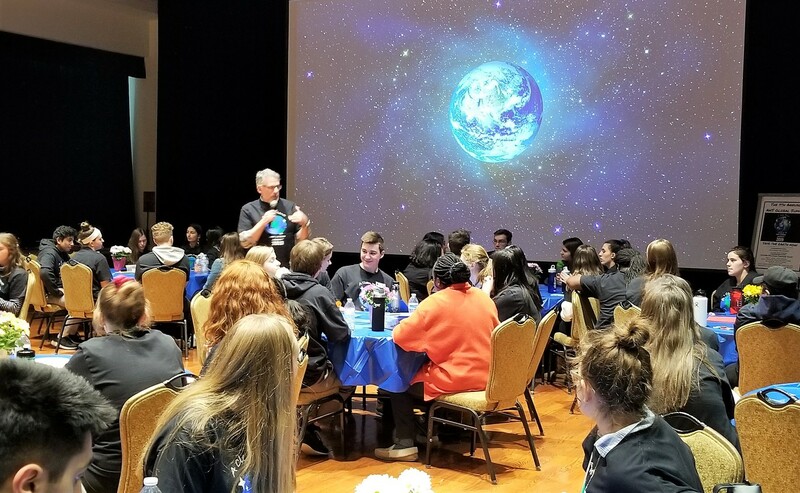 The students also jumped into a global design challenge, working in groups to find solutions to challenges focused on the UN Global Sustainability Goals for a healthy planet. The dedication of the Global advisors Steve Chinosi, Aixa de Kelley, Jorge Allen, Shelagh St. Laurent, Dan Brennan, Mysha Kuhlmann, Seema Gupte, Jessica Daviso, Hector Rodriguez, Rebecca D’Alise, and Brian Shea created a great day for all! 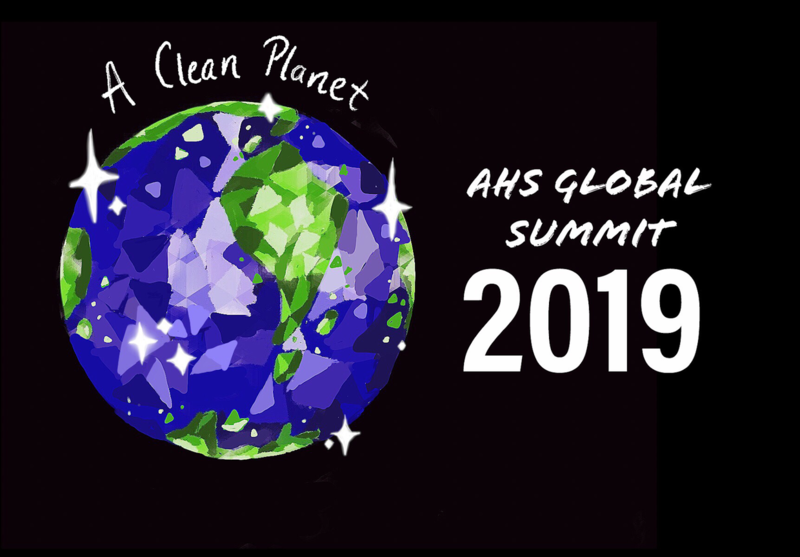 This year’s t-shirt logo contest winner is Saadwi Balaji, Global Scholar in the 2020 cohort! 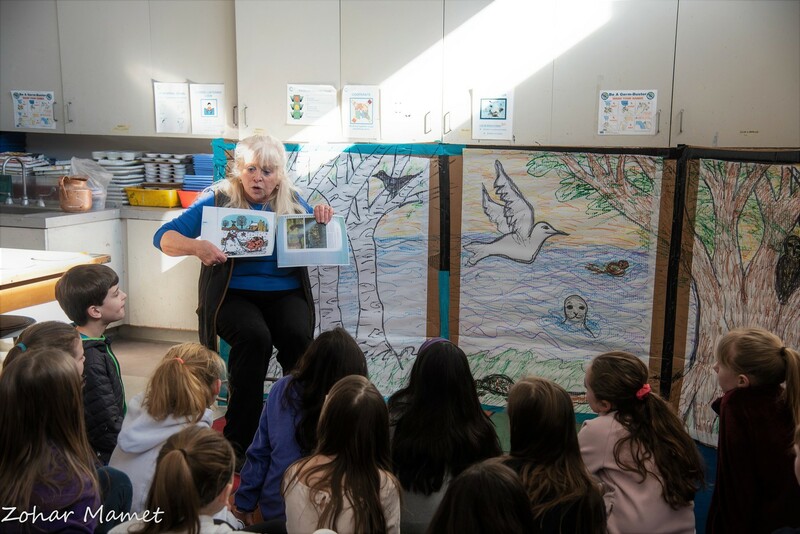 The Roots to Grow project at South Elementary provides students, teachers, and staff with the opportunity to “own” a piece of the newly renovated library. Every member of the South community will contribute to a collaborative mosaic mural. 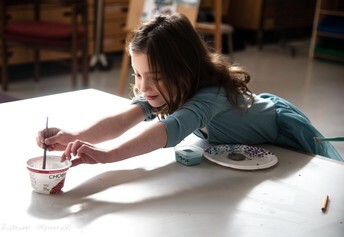 The program is supported in part by a grant from the Andover Cultural Council, a local organization funded by the Mass Cultural Council and local donations. 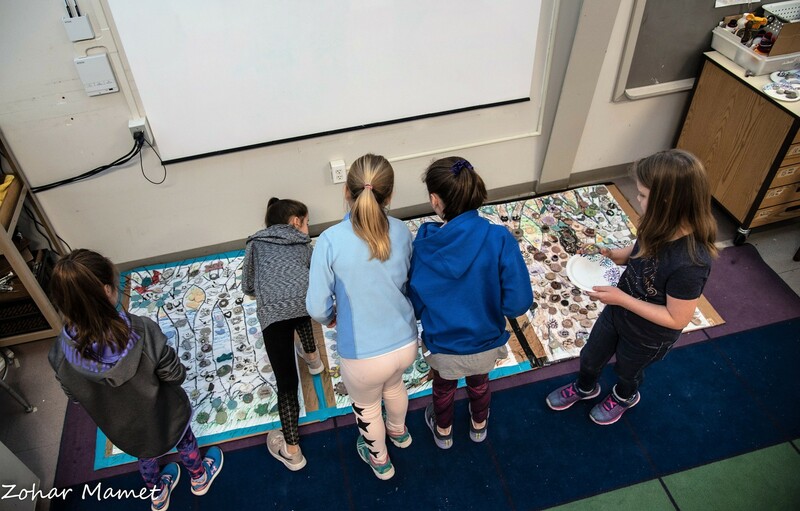 The South School community, with the guidance of artist-in-residence Pam Golden, started the creation of the clay mosaic mural depicting a lively forest scene last Thursday. When completed, it will hold approximately 600 individual clay pieces designed and created by students. Each student made a piece of the landscape mural – trees, water, wildlife, etc. Students shaped the clay, painted a glaze color, and then inscribed a message or meaningful insignia into the colored glaze. The separate pieces of clay will attach to three wooden frames to create a forest facing into the library. The final project is set to be unveiled in May. The 2019 APS Middle School Science and Engineering Fair will be held on Saturday, March 30, 2019 in the Andover High School cafeteria from 9:00 am to 12:00 pm. The fair is open to all APS middle school students in grades six, seven, and eight. Both individual and team (up to three members) projects can be entered in either the competition category (judged and scored) or the exhibition category (feedback but no score). 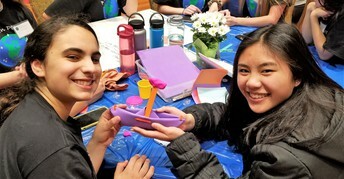 Top projects will qualify for Massachusetts Region IV Middle School Science and Engineering Fair at UMass-Lowell later this year. The deadline to register for the fair is Friday, March 15, 2019. Registration is free and can be completed online at bit.ly/APSScienceFair where complete details about the fair and how to participate can be found. Bancroft Elementary teamed up with the Boston Bruins, Cradles to Crayons, Massachusetts Board of Library Commissioners, and Department of Children and Families to support their Annual PJ Drive. From February 4-March 8 Bancroft collected over 150 new pajamas for children of all ages, from toddlers to teens. 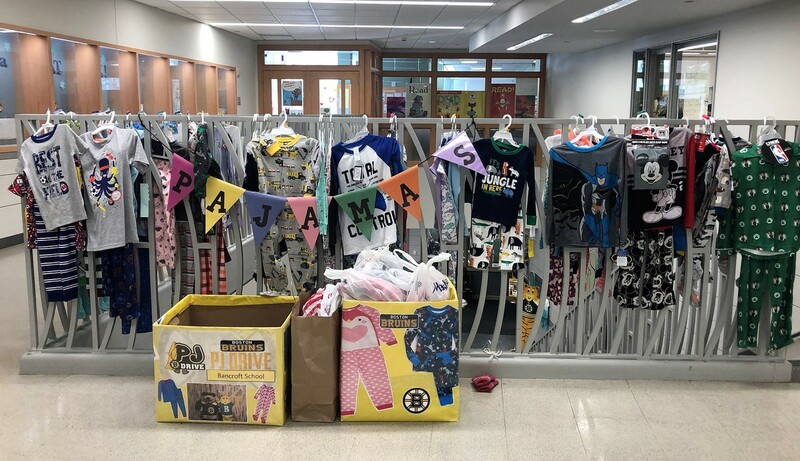 The event kick-started with a school wide pajama day promoting the event and donations were placed in boxes in the lobby by the Bancroft Library throughout the collection weeks. Students made videos, posters, and announcements promoting the event. Since its first year, Bancroft School has collected over 300 pajamas! Bancroft teachers Corie Little, Michelle Mallon, and Beth Murphy advise the student council at Bancroft and helped facilitate the fundraiser in collaboration with school librarian Nancy Snow. The event concluded with a school wide Bruins spirit day celebrating another successful year! Andover Parent to Parent is pleased to present “Managing Stress and Anxiety: Education, Resources and Strategies for Children, Adolescents and their Families” on Thursday, March 26, 2019 from 7-9 p.m. at Wood Hill/ High Plain Auditorium. 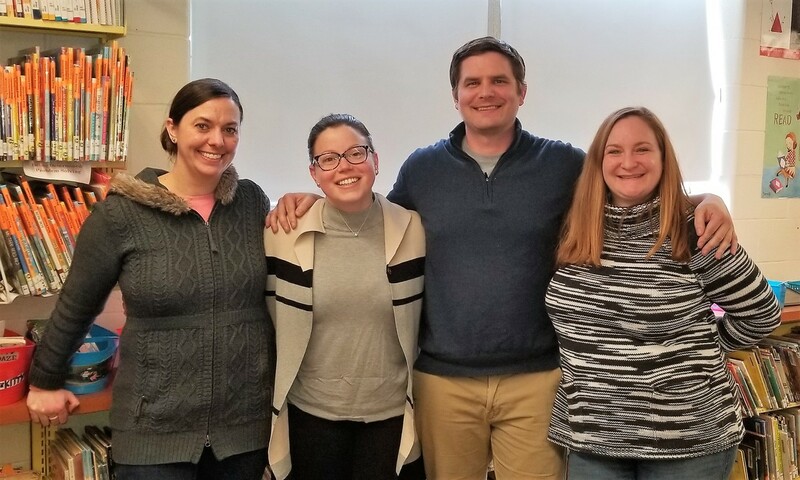 Clinicians from the McLean Anxiety Mastery Program including Julia Martin Burch, Taylor Wilmer, and Abi Stark will address the topic of anxiety and the many ways it can present in children and teens. Concrete strategies for supporting your anxious child (and yourself in tough moments!) will be offered, as well as ways to approach and partner with your child’s school for continuity and reinforcement. 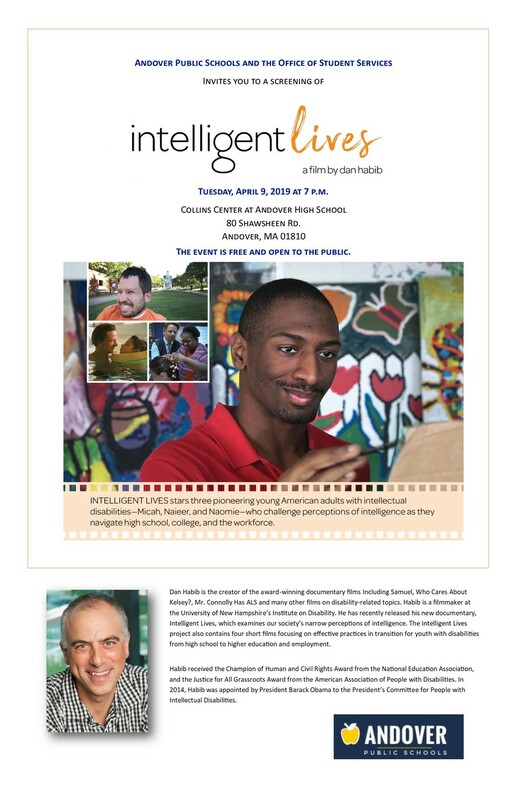 *Parent to Parent and the presenting clinicians respectfully request that this be an “adults only” evening. Eye to Eye Learn Different Day is designed with the family in mind. Students spend the afternoon teaming up with college and high school-aged mentors who have a similar learning and attention issues. Together, the pair will create hands-on projects, focused on building social-emotional skills. The program is designed for students age 10-14, but it’s fun for all ages! Registration is now open! More information can be found here. 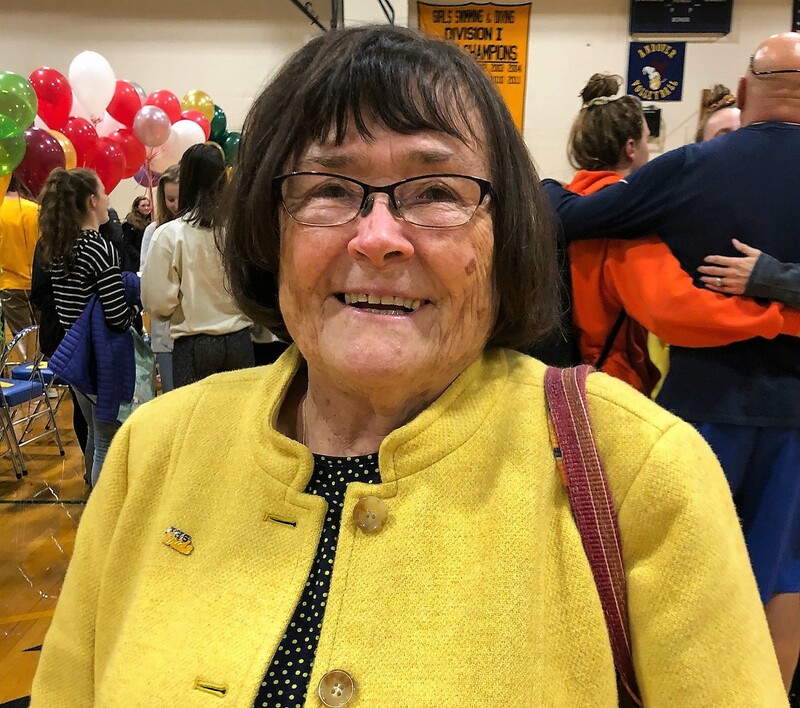 Girls' Swim and Dive Coach Marilyn Fitzgerald was recently selected by the Eastern Mass Interscholastic Swimming Coaches Association (EMISCA) as this year's recipient of the Mary Pierce Fall Coach of the Year Award. 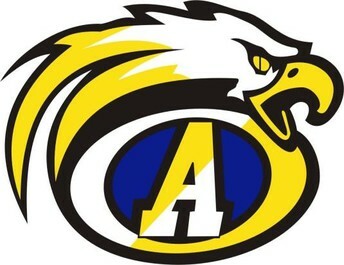 Earlier this year, Marilyn announced her retirement following 27 years of coaching at AHS. Congratulations on being selected for this prestigious award! 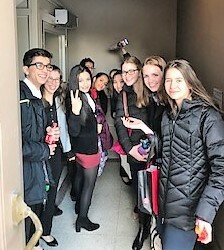 The AHS Mock Trial team competed in the Regional Tournament held on March 3rd at Clark University in Worchester. The team performed well overall, but unfortunately was narrowly defeated by Malden High School. This is the second time AHS has advanced to regionals, and Mock Trial advisor Stacy Giggie is proud the team, and believes they performed exceptionally well against a very strong team. This year’s AHS Mock Trial team included: Saadwi Balaji, Zach Bhattacharjee, Sofia Garcia, Taylor Goodwin, Camille Miner, Adi Muscat, Isabel Rodenberger, Cathy Sie, Aishwarya Sood, Dhanya Srikanth, Camille Storch, and Adi Briskin. Get in touch with your Legislators! Senator Barry Finegold and members of his staff will hold office hours in Andover during the month of March. There will be two separate sessions in the community to provide different options for constituents to stop by. 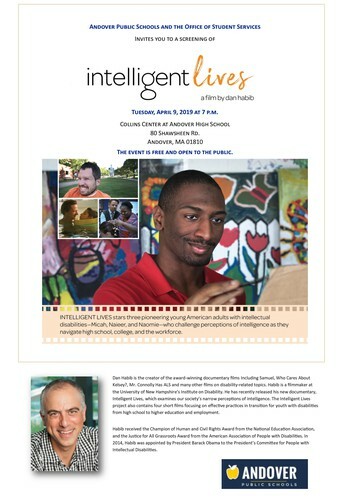 Memorial Library- Monday, March 18th from 7:30-8:30p.m. Andover Senior Center- Tuesday, March 19th from 9-10a.m.